Antarctica's rich and diverse wildlife makes it one of the most pristine and wild places to visit on earth, with penguins, sea birds, seals and whales living side by side. Different parts of Antarctica and the sub Antarctic islands are known for their range of penguins, whales and seals - you're likely to see certain breeds on certain voyages. Perhaps the main attraction in Antarctica, nine species of penguin can be found nesting in colonies throughout the Antarctic Peninsula, in the Falkland Islands and in their thousands in South Georgia. Most nest high up on the rocks, away from any potential dangers and spend their days waddling back and forth from the sea to bring their young fish along 'penguin highways'. Find out more about individual species and the best places to see them. The Adelie penguin gets its name from the French explorer Jules Durmont d'Urville who named them after his wife, Adèle. 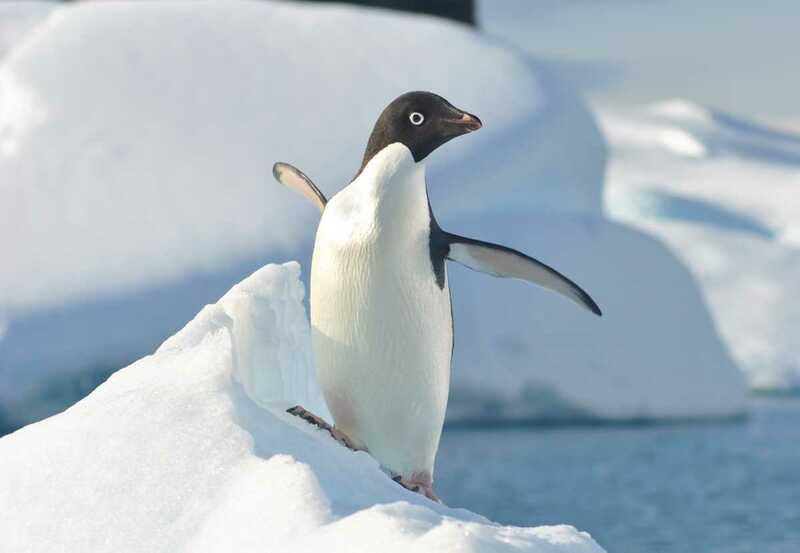 The Adelie can be found all along the Antarctic coast and there are currently about 2.5 million breeding pairs known in 177 locations, where breeding occurs in large colonies during the summer. This penguin derives its name from the interesting mark around its chin. Like the Adelie, the Chinstrap lives throughout the Antarctic Peninsula as well as the sub-Antarctic regions, with over 1.5 million pairs breeding on the South Sandwich Islands. 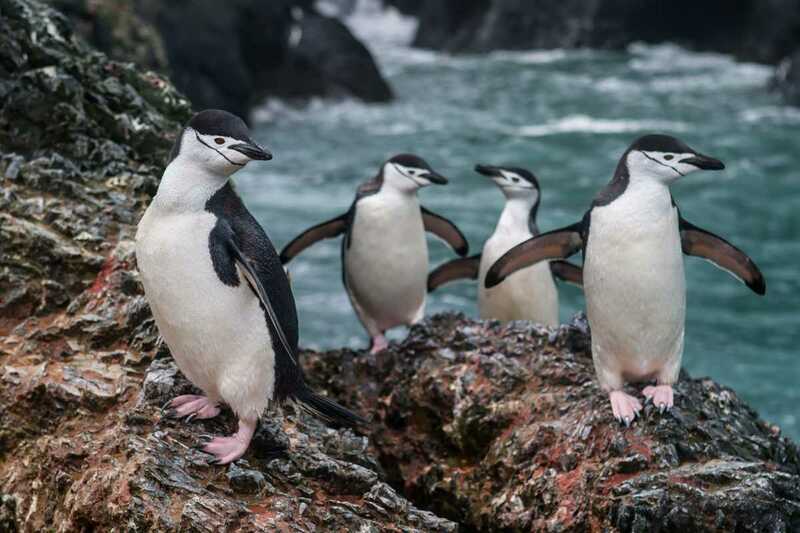 One of the best time to see the four million pairs of Chinstraps in the Peninsula is during December and January when young Chinstrap penguins hatch from their eggs. Bigger than the Adelie and Chinstraps, the Gentoo penguin is one of the most common penguins to see in the Antarctic Peninsula and one of the largest colonies is found in the South Shetland Islands on Ardley Island. 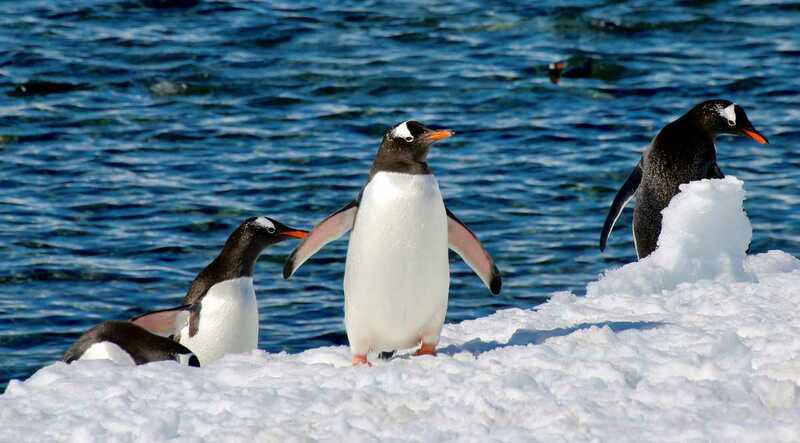 The Gentoo is largely distinguishable by the white patch above its eye and its orange beak and feet. Estimates suggest that there are approximately 300,000 breeding pairs with around 100,000 in South Georgia and 70,000 in the Falkland Islands alone. 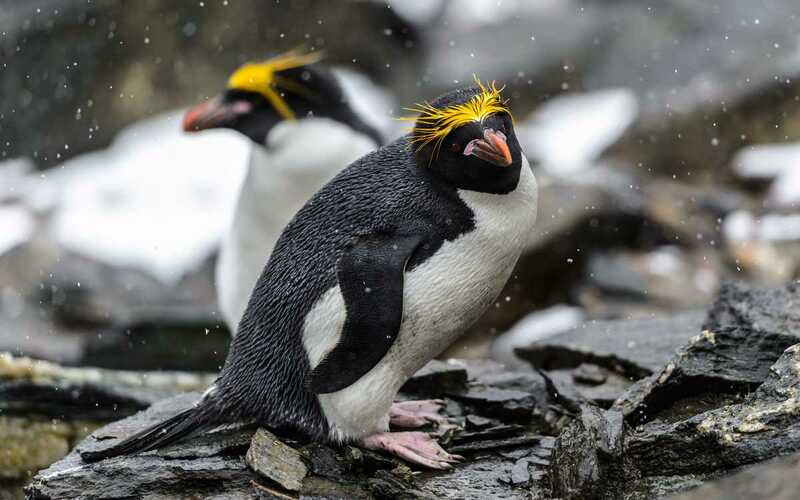 This incredibly funny-looking penguin is known for it's yellow tasselled plumage, which distinguishes it from fellow penguins (although it is similar to the slightly smaller Rockhopper penguin). The Macaroni is abundant throughout the sub-Antarctic islands heading eastwards to Heard Island off the Peninsula and their astonishing number of breeding pairs (11.8 million) are mainly concentrated throughout South Georgia where you're bound to catch sight of some of the over 5 million pairs. One of the most interesting things about this penguin is its breeding cycle - two eggs are produced, the first smaller than the second and the first egg is kicked out of the nest soon after the second egg has been laid, meaning only 1 hatches. Closely related to the Emperor penguin, the elegant King penguin is the second largest penguin standing at 80cm tall. 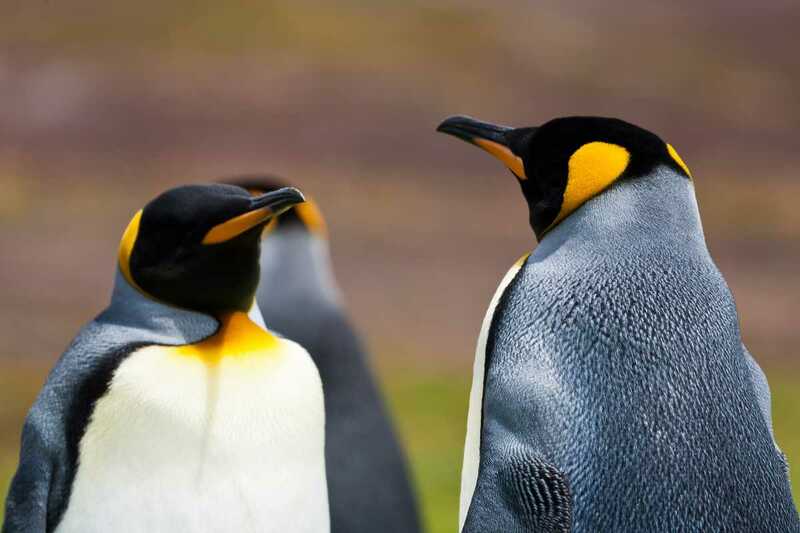 King penguins are found on 7 of the sub Antarctic islands with a breeding population at around 1-1.5 million pairs. One of the best places to see them is at Salisbury Plain, a wildlife site without parallel. Several large glaciers provide a dramatic backdrop for the tens of thousands of King Penguins that breed in the tussock grass of this remarkable ecosystem. Like the Emperor penguin, the King lays one egg and this is carried around on the feet of both parents until it hatches 55 days later. 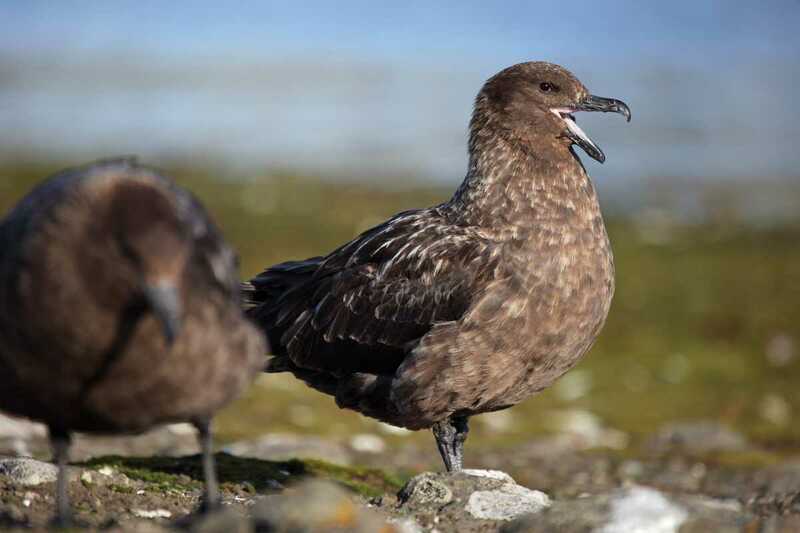 The breeding season lasts 14-16 months including rearing the chick, which is much longer than other species which means they only breed twice every three years. 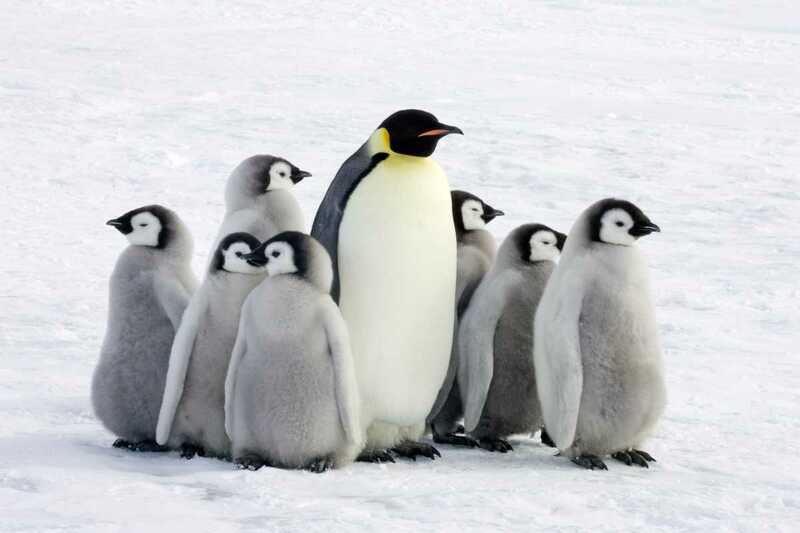 Standing at one metre high and weighing up to 40kg, the Emperor penguin is found at a select and more difficult to reach number of locations in Antarctica and the sub Antarctic islands including the Weddell Sea, Queen Maud Land, Enderby and Princess Elizabeth Land in East Antarctica and the Ross Sea. They are also found close to the French research station in Southern Antarctica, which is also close to the location where they spend each winter breeding (the only Antarctic bird to do this). 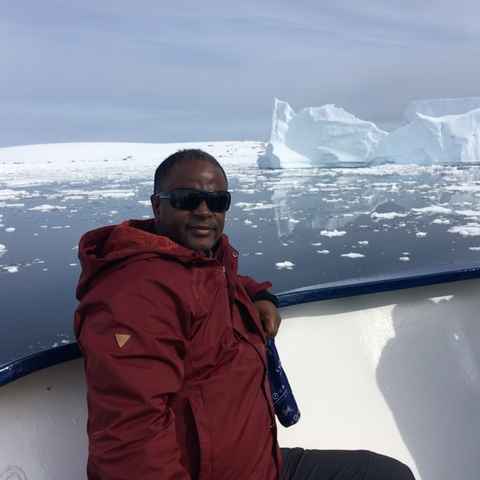 People are so keen to see Emperor penguins that several cruise operators run trips that focus exclusively on seeing them in their natural habitat. In order for Antarctica's wildlife to thrive, IAATO, an organisation founded to protect and promote environmentally responsible travel to Antarctica, has set up a list of rules when visiting Antarctica, one of which requires visitors to maintain a distance of 5 metres from penguins. 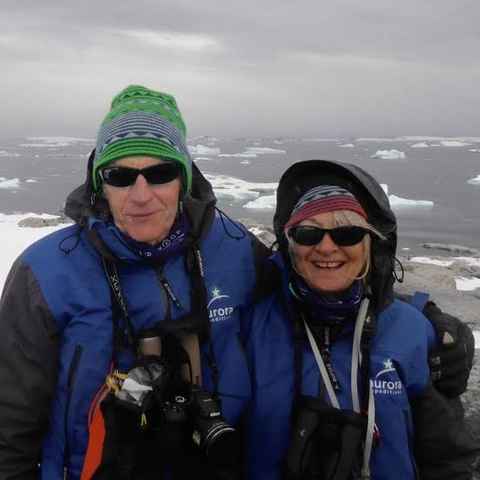 Watching a pod of whales from up close is perhaps one of the most exciting experiences you can have in Antarctica. The use of small Zodiac boats carrying around 8 people means that you can go with a pod, sailing not far from a mother and calf and watching them dip and dive into the water. 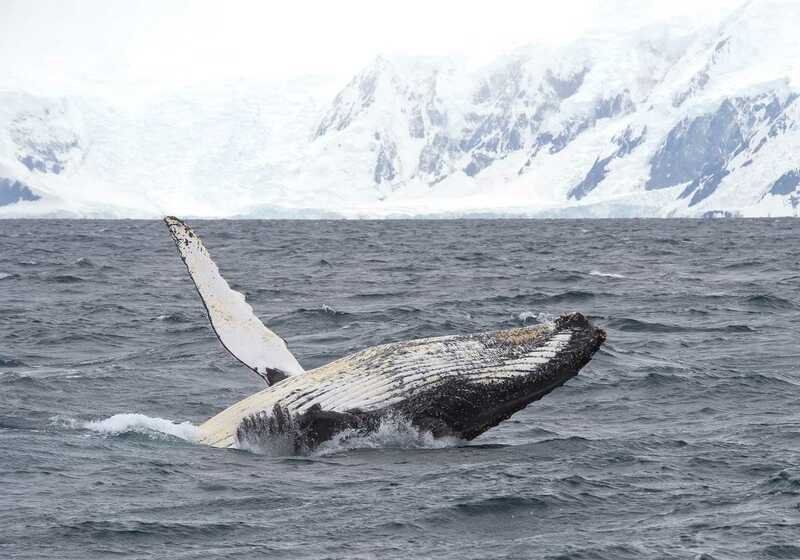 The likelihood of seeing whales in Antarctica is greatly increased if you visit between February and March (the end of the season) and they are particularly abundant in certain parts of the Antarctic Ocean, where they spend the summer months feeding, mating and fattening up their young. This majestic beast of the seas is recognised by its huge flippers which can reach a third of its total body length. They are normally black but the undersides of flippers and flukes have varying amounts of white and can be used as aids for individual recognition. They measure 11-19 metres and weigh 25.4-35.5 tonnes, males being usually slightly shorter than females. The Orca, or Killer whale (named because one of the three types of Orca does actually hunt and kill certain types of whale), is the largest member of the dolphin family and can be spotted by its enormous dorsal fin, which can grow to 2 metres high in males. 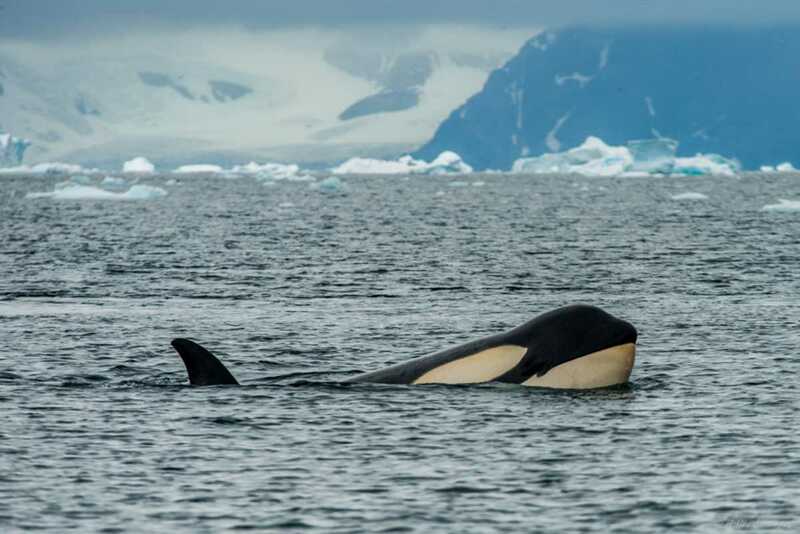 Orcas have a striking black and white pattern, from throat to abdomen, some of their flanks and an oval blaze behind the eye white, with the rest mainly black. They measure from 3 to 9 metres and weigh three to ten tonnes, males are larger than females. Orcas are found throughout the Southern Ocean, with an estimated population of 80,000. The second smallest of the baleen whales and the most abundant in the Southern Ocean, Minkes have a maximum length of 10.7 metres and weigh up to 9 tonnes. They are usually spotted around the edges of the pack ice during Antarctic summer, with pairing and calving taking place during the winter. Minke's largely escaped hunting in the first half of the 20th century due to their relatively small size but are now targeted in their hundreds each year by Japanese whalers. The trip was exceptional! One of the things I most enjoyed and was a surprise to me was hearing a leopard seal singing into an iceberg underwater! I didn't know they did that, and it was such a beautiful sound. We were privileged to see a large pod of humpback whales in a feeding frenzy one evening; the captain stopped the ship for an hour or so and the whales were feeding all around us. The Captain spotted about 25 whales corralling, and circled these animals for about an hour for our enjoyment. 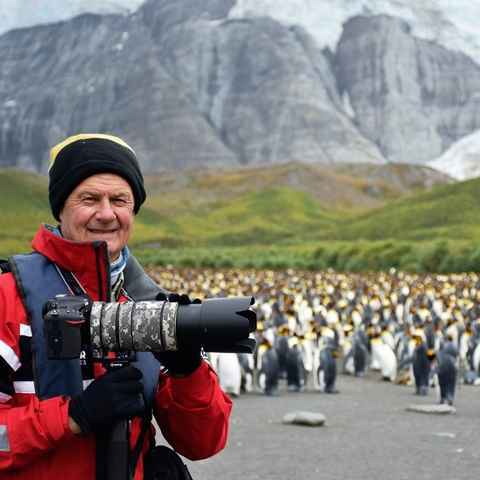 As a bird watcher and photographer, the penguins were the standout act, followed by the landscapes, and ice. I had wondered about the point of visiting the Falklands but after visiting the black-browed Albatross colony I quickly became enchanted. Seeing the landscape and the animals: simply unmatched; unperturbed, unadulterated, and pristine. We loved the antics of the penguins and the curiosity of the chicks. Up close viewing of seals and whales was awe inspiring. 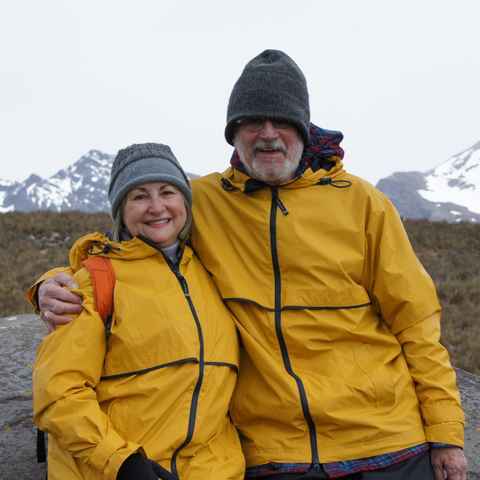 Our outstanding leaders helped to deepen our understanding and appreciation of this amazing world. The extraordinary landscapes and phenomenal wildlife were highlights of the trip. I fell in love with penguins, and can't get enough of them. Antarctica exceeded my expectations and each day was a new adventure, often seeing thousands of penguins and seals and beautiful glaciers. Very happy with the wildlife we saw - the best thing was the killer whales hunting a seal by creating waves and breaking the ice from below. The stark beauty of Antarctica really opened my eyes to this part of the world. We were able to see numerous types of penquins, two types of whales, many seals, etc. And seeing the chicks was a highlight for me. It was amazing. The wildlife was endless and the highlight was probably seeing 30 whales bubble feeding right in front of our zodiacs. 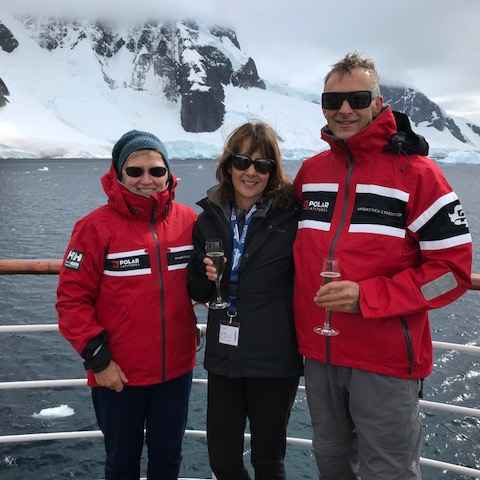 The Antarctic was amazing and the cruise delivered everything promised. The highlight was the wildlife. We saw penguins, seals and three types of whales. The landscape is absolutely stunning. Seals, brutally hunted for their skin during the eighteenth and nineteenth centuries, are found in their thousands throughout Antarctica, breeding on shore on the beaches and rocks or on the pack ice, depending on their species. With 7 species living in the Peninsula and Peri-Antarctic islands (South Georgia or South Shetland Islands), the likelihood of seeing a diverse range of seals whilst you're there is high, but it's best to maintain a safe distance as they can bite. Famed for its ugly elephant-like trunk, the Elephant seal is the largest in the world, with males weighing as much as 3.5 tonnes and growing up to 5 metres in length. Elephant seals are found on most of the Southern Islands and throughout the Antarctic Peninsula, particularly at Livingston Island, where they spend the winter at sea, returning to the beaches in August to engage in a complicated mating ritual which sees one 'beachmaster' with mating rights to harem of females. In the nineteenth and early twentieth centuries the Elephant Seal was widely hunted for the oil that could be rendered from its blubber by hunters known as 'elephanters'. This led to a decline in the species, but today the estimated total population stands at around 750,000. 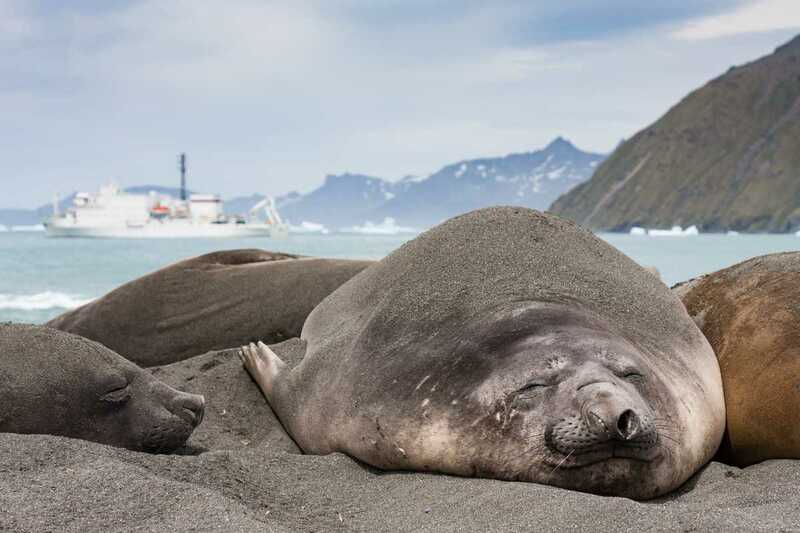 Named in 1820 after the respected British sealing Captain, James Weddell, (who also gives his name to the Weddell Sea), the Weddell Seal lives further south than any other mammal (apart from humans) and can even be found at McMurdo Sound, some 77 degrees south throughout the year. The Weddell Seal reaches 3.3 metres in length, weigh around 550kg and can live up to 20 years. They can also dive up to 600 metres and stay under the water for up to an hour. Impressive, but not as impressive as the Elephant Seal that can spend up to two hours under the water during a dive for squid. 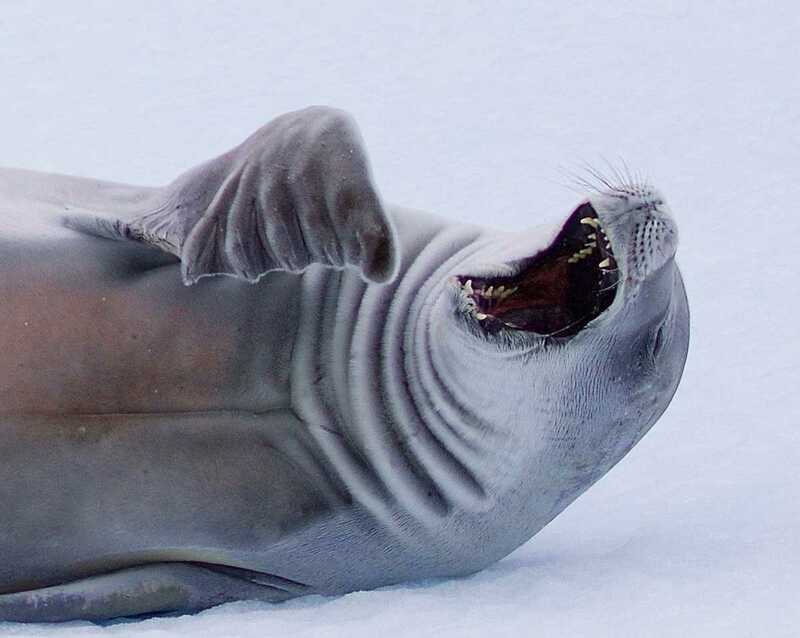 With population figures estimated at around 1 million, the Weddell is one of the most visible seals in Antarctica, and can be seen on s sea ice that has frozen along coasts. You'll recognise this seal by its razor-like teeth which make it uncharacteristically aggressive looking for a seal. The Leopard's large head and formidable jaws enable it to hunt penguin, other seals (especially pups) as well as fish, squid and krill. 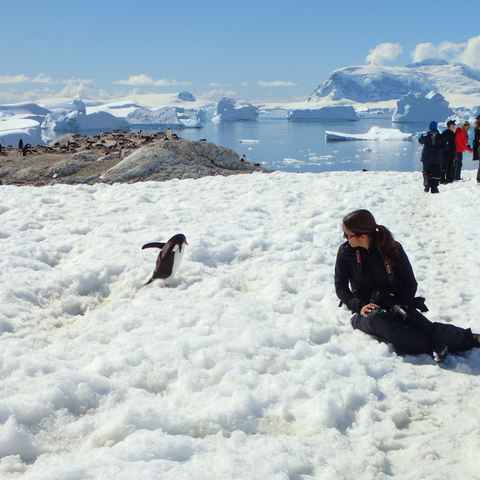 Seeing a penguin catch is high up on the list of many visitors to Antarctica. The leopard female is larger than the male, growing to 3.6 metres and weighing 590kg, whilst he male reaches 3.4 metres and weighs around 450kg. There are as many as 200,000 Leopard seals throughout Antarctica, particularly in the South Shetland Islands, so the species is not thought to be at risk at the moment. Although the name would suggest otherwise, Crabeater seals eat krill, not crabs. Although their population is estimated at somewhere in the region of 12 to 15 million, Crabeaters generally prefer to live on pack ice rather than in the open sea, which makes reaching them to assess them, difficult. Because of this, relatively little is known about their breeding process, although it does occur between September to November on the pack ice in the Antarctic Peninsula, with pups growing quickly and being weaned within 3 weeks. These slim seals (especially when compared to rounded Weddell Seals), reach about 2.5 metres in length and weight around 200kg. Heavily hunted for their thick fur in the 19th century in South Georgia and the South Shetlands, their population has now rebounded. They breed in South Georgia but young bulls make their way to the South Shetlands Islands and the Antarctic Peninsula from January to March. Up to 315kg and between 1 and 2m in length, they feed on fish, krill, squid and penguins. They are better adapted to move on land than true seals (such as Leopard and Crabeater Seals) as they can use their fore flippers to walk. Young Bulls are curious and fast on land so beware of their pointy teeth! Antarctica and South Georgia are home to a dizzying array of sea birds from albatrosses to gulls and petrels. Here's a selection of some of the seabirds that you're most likely to see whilst you're out there. The albatross is synonymous with the Southern Ocean. There are a staggering 17 types of Albatross found on the islands in the Southern Ocean and you're likely to find them following your ship en route to South Georgia. You'll see colonies of Albatrosses on the tussock-grass covered islet of Prion Island. 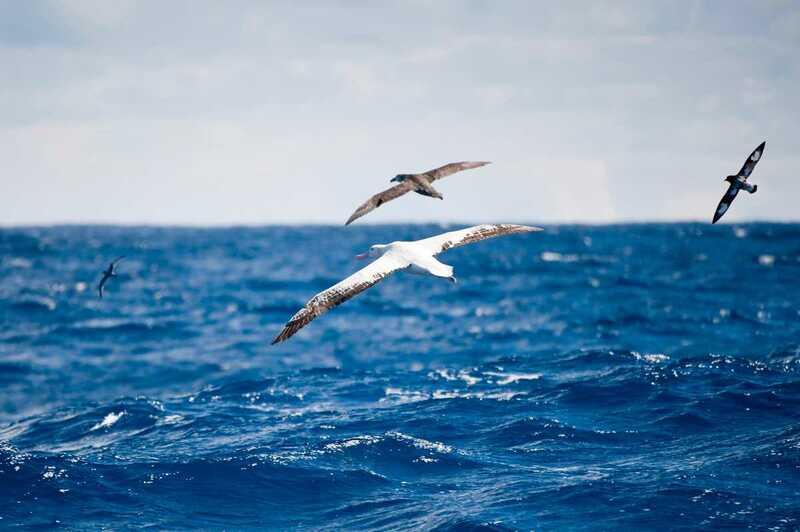 The Wandering Albatross is the king of the Southern Ocean, with a wingspan of up to 3.5 metres and a brilliant white body with grey feathered wings. It mainly feeds on squid, fish and crustaceans and sadly are now the most threatened of the avian families. This bird survives by snatching and eating penguin eggs and this is why they can often be seen hovering nearby and above a penguin rookery. When under attack, the penguins generally huddle together and screech loudly in order to scare the Skua away, but they are usually able to steal an egg from one of the more vulnerable nests. Skuas can be found more or less wherever there's a penguin colony, this photo in particular was taken at Neko Harbour in the Antarctic Peninsula (one of the spots where you can set foot on the Continent). Skuas have a wingspan of 120cm. This dark brownish/black and white speckled bird comes from the 'Petrel' family, a group of seabirds known for its habit of pattering across the surface of the water as if they were walking across it. 'Petrel' means 'little Peter', the apostle who walked on water with Christ on the Sea of Galilee. 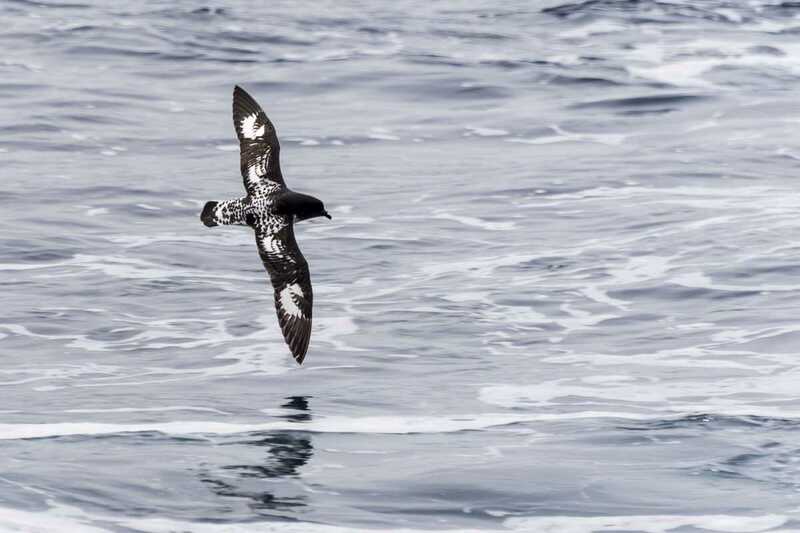 Found throughout Antarctica and in parts of South Africa, South America and Australia, the Cape Petrel feeds of pretty much anything it can find in the water. In the days of whaling, this bird was seen in huge number around the whaling stations of South Georgia, such as Grytviken, now a whaling museum and resting place of Sir Ernest Shackleton. Cape Petrel have a wingspan of 86cm. 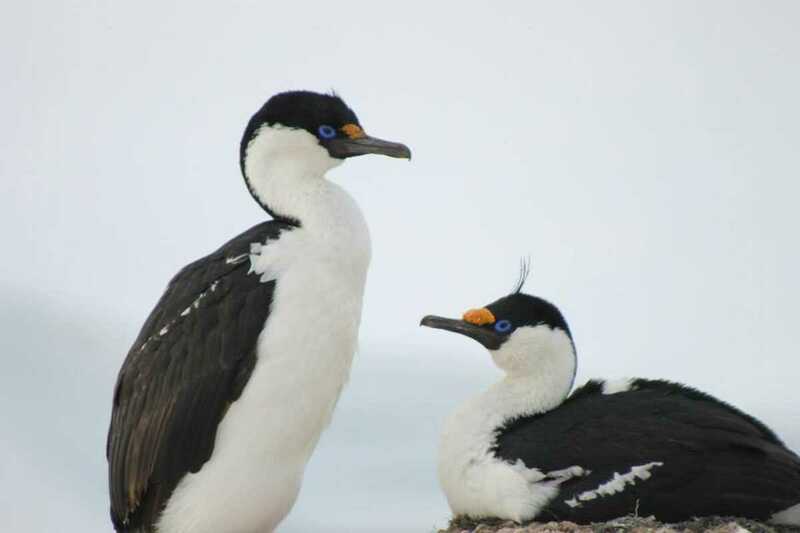 Blue-eyed Cormorants or Shags inhabit the Southern Islands and the Antarctic Peninsula and as of yet, there has been no firm agreement on how many species exist. The bright blue eyed species stands out for obvious reasons, and can be spotted at many of the top landmarks in the Antarctic peninsula. Cormorants are known particularly for their distinctive fast-flapping flight and as inshore-feeding birds, they are not normally seen out of sight of land. They breed in summer making nests of seaweed in colonies high up on cliff tops and ledges directly above the sea. They have a wingspan of around 1 metre.